More law enforcement officers choose Speer ammunition for their duty weapon than any other brand. Speer Lawman 45 ACP ammo was developed to provide a safe, reliable, and affordable training option. 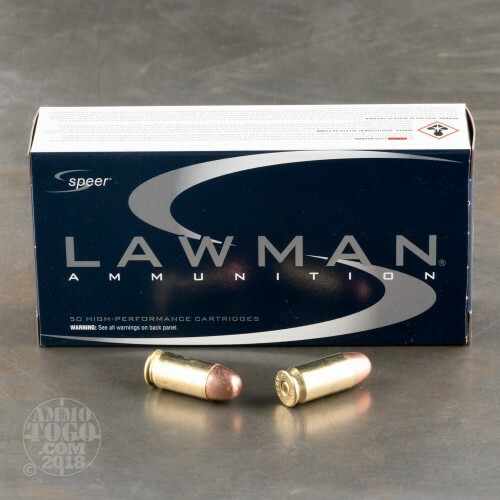 With a feel and point-of-aim that mimics premium self-defense loads, Lawman allows for a seamless transition from training to protection. Each of these factory fresh cartridges is loaded with a 230 grain Speer total metal jacket (TMJ) projectile. The one-piece jacket of these TMJ bullets completely and seamlessly encases the lead core. This design limits expansion and prevents powder gases from burning off at the bullet’s base. The result is cleaner shooters, cleaner weapons, and cleaner ranges. 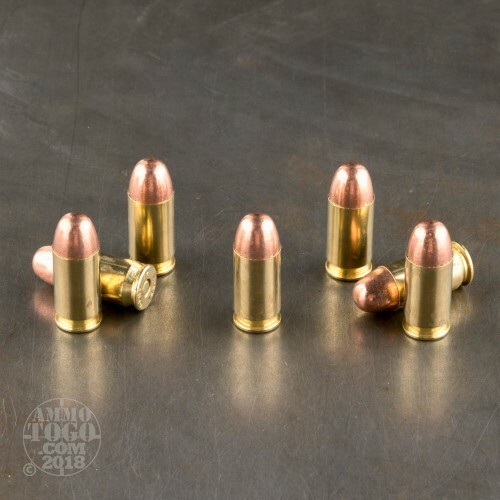 These TMJ bullets leave the muzzle at a velocity of 830 feet per second and produce 352 foot pounds of muzzle energy. 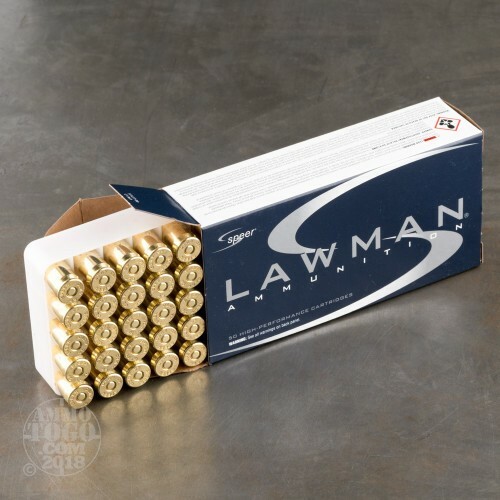 Perfect for the high-volume shooter, this package contains 1000 rounds packed in 50-round boxes. The reloadable brass cases are manufactured to tight tolerances, ensuring consistent function. These factory fresh loads also feature clean-burning propellants and sensitive, non-corrosive CCI primers for consistent and reliable ignition. posted on 12/16/16 by Steven B. 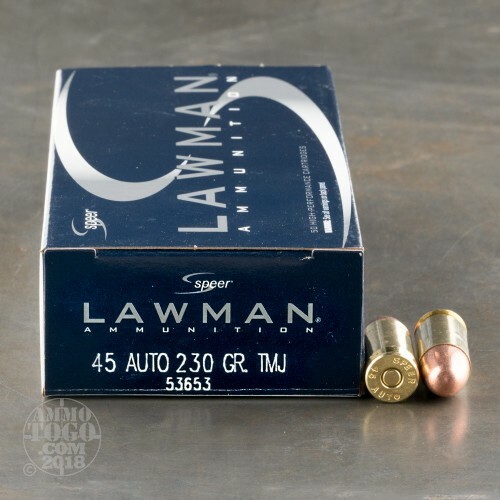 This ammo shoots clean and accurate. Would definitely be buying it again.